Preparing a healthy breakfast has never been so easy! 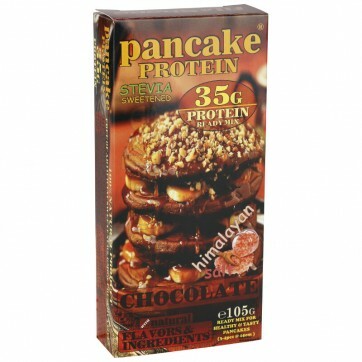 Healthy pancakes with 35 g of protein for you to load your muscles with energy. Available in two amazing flavors: chocolate and eggnog. Pour the contents into a bowl. Gradually mix and add 150 ml of cold water. Leave the mixture to rest for 10 minutes. Pour the mixture in a preheated (medium temperature) greased pan, and distribute it evenly. Wait until bubbles appear and turn to the other side for another 1-2 minutes. You can garnish with fruit or decorations to your liking. Consume at any time of the day. It can replace one between-meal snack. 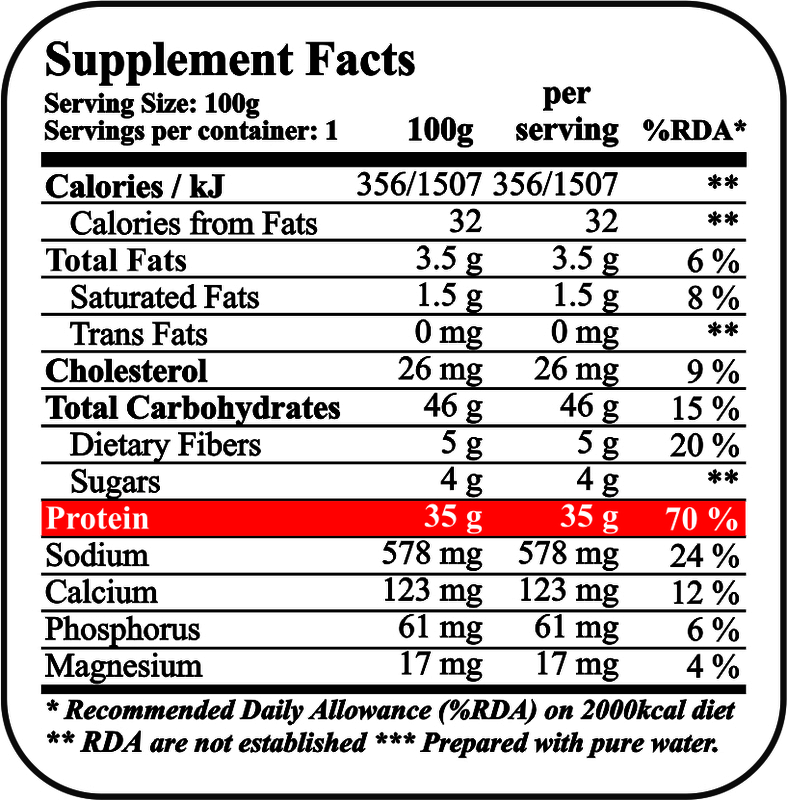 When eaten after workout, it contributes to faster muscle recovery and lean muscle mass gain. 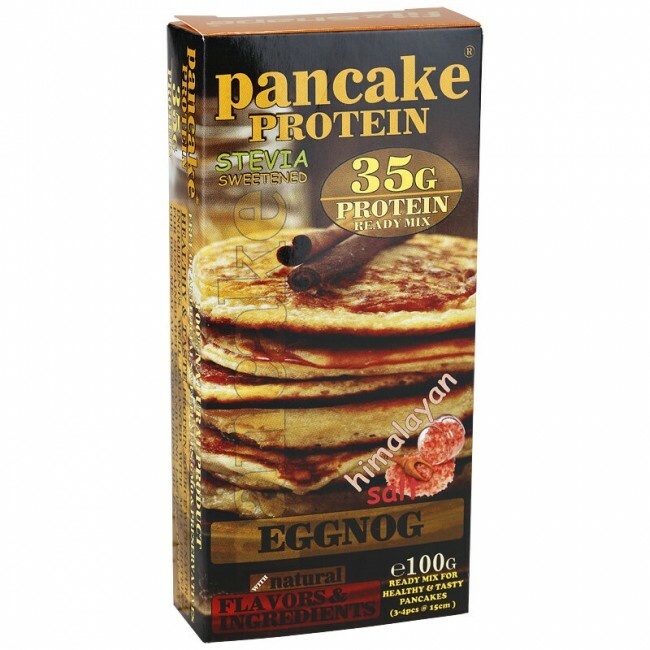 Healthy mix of flour (buckwheat, wheat (gluten), oats (gluten), rice, flax), milk protein isolate (milk), whey protein concentrate (milk), calcium caseinate (milk), micellar casein (milk), egg albumin isolate (eggs), vegetable oil, raising agent: baking powder, Himalayan salt, dextrose, sweetener, stevia, sucralose, acidity regulator: citric acid, flavoring: vanilla. * Chocolate: coloring: cocoa powder; flavoring: chocolate.